We start with the best, and work our way down. Price, materials, size, and everything in between—these are the best laptop bags for men on the market today. After creating this list, three of our staff are now carrying laptop cases around that we first found. These bags are so good, they sold themselves. 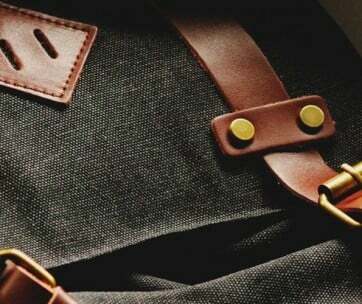 For the businessman, the casual gent, and everyone between the lines—you’ve just found your next laptop case, and it’s on this list of the best laptop bags for men. Amazon comes out with some seriously stellar products to save you money, and promise great long-lasting quality. These laptop cases are available from 7-10” models, all the way up to 17.3”, and come with an optional wireless mouse, and your choice of one a ten in a package, which is great to bulk buy for your team. AmazonBasics 15.6” Laptop Bags come with a padded cushion support along the strap to minimize the wear-and-tear you put on your shoulders, while also boasting a stellar accessory pocket for small electronics, pens, and flyaway items. You can store a portable mouse as well, and still have ample room. As the title suggest, these are the basics, but you can’t go wrong for such a low cost with this kind of immeasurable quality. Ever lay your laptop bag down on the table or counter, only to have someone tip over a glass? With Aroprank’s water resistant feature, your 17” laptop will be completely dry, while your case material will avoid absorbing fluids. Lightweight and crafted of premium nylon, this 2.7lb bag fits extremely comfortably across your chest. The crossbody strap maximizes support for your electronics, as well as keeping the entire case close to you to avoid pickpockets. You can detach the strap if you plan to carry by the handle. Avoid feelings of compression when this is over your shoulder, and know that your laptop is cradled in comfort. This bag prevents overstuffing with its unique design, so you won’t load up too many items and put too much pressure on the glass of your tablet, smartphone or laptop screens. For a sleek, all-black look and internal organizational pockets, Aroprank is your go-to bag. 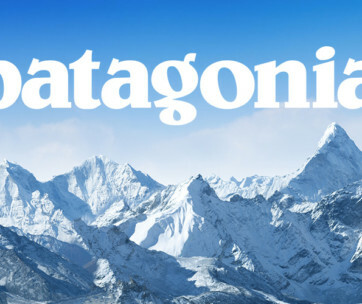 Be sure to also check out our list of the best Victorinox backpacks for more great items like this. The first one that our staff ends up carrying around is Mobile Edge’s absolutely fantastic ECO bag. Designed to hold your laptop and be multifunctional for books, smaller electronics and everyday items, this bag is one you won’t find yourself replacing anytime soon. The name isn’t just catchy—this is crafted 100% of all-natural cotton canvas, cradling your belongings in a safe and stylish manner. You can fit up to a 17.3” laptop inside, and utilize a dedicated storage slot for an ID card and other quick-access information you may need at a checkpoint or if you’re in a sticky situation. The thing we really love about these straps is the multiple ways you can set up your bag. Contour it to your body, the way you like to handle your laptop bag, and with a few quick switches, you’re good to come. Comes with a lifetime warranty, as well as three different unique fully fleshed-out styles to choose from. Similar to the function on the Mobile Edge ECO, Evecase 13.3” dual bag comes with all the organization and storage you need, while maintaining a rugged and aesthetically appealing exterior. Convenience and ample storage collide, comprised of water-resistant canvas, straps that rest easily on your shoulders, and internal padding to protect your electronics and other valuables, there’s nothing left to be desired. Able to comfortably hold a 13.3” laptop while protecting your screen from physical stress, this laptop bag also sports a luggage strap to detach the shoulder one, and bring it as a carry-on bag aboard flights. Snap or tie it onto your rolling luggage, and you’re ready to rock the terminal. Large laptop owners rejoice—you’ll be able to stash up to a 15.6” laptop in this ultra protective sleeve. Made of lightweight material, Neoprene Briefcase Laptop Bag Crossover won’t weigh down heavily on your shoulders, even with a full load of items. There’s enough space to add a few items, such as pens and small electronics. Overall, this bag is a great carry-on for a few belongings plus your laptop, so you can enjoy your flight. There’s no BS to this bag; you get what you see, and you save an absolute ton of green. An excellent pick for the minimalist who wants a lower price, maximum function, and doesn’t need the frills or added features (such as organizational pockets and extra shoulder padding). 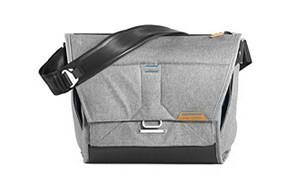 Expertly combining the features of a laptop bag with the appeal of a messenger bag, Lifewit brings us a super affordable option that looks like you paid hundreds for it (when in reality, it’s nowhere near that). Available in four different styles, this bag can hold up to a 13” laptop, as well as a slew of other small electronics and personal items. Perfect to store pens, charging cables, and your wallet/ID sleeve in the front clasp pockets, this laptop bag is a mobile workstation. If you need to set up your devices and connect immediately, you need a dynamic design with quick access, while posing the opportunity to lock down the buckle clasps for maximum safety and security. 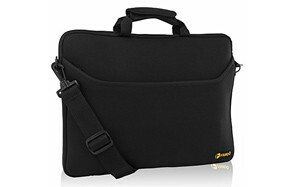 Lifewit Messenger Bag Laptop Case Combo is one bag that has everything except a high price tag. You just don’t get better construction that Alpine Swiss. Built to last a lifetime and designed to contour to your lifestyle, this stellar laptop bag comes with a TSA-approved laptop sleeve, supporting up to a 15.6” size. Multiple pockets allow for optimum storage, while the built-in panels and organizers make for a smooth time—everything has a place in this bag. Apart from the durability and extremely comfortable shoulder/cross strap, your bag is entirely lightweight and simply to move around. Sling it over your shoulder or detach the strap for an easy luggage-carry strap, prime for boarding as your carry-on bag. From price to power, durability to dexterity, this is true Alpine Swiss construction. Be sure to also check out our list of the best Timbuk2 backpacks for more great items like this. Swiss Gear has to be one of the best when it comes to just about anything (take that from a gent who’s had a Swiss Gear wallet for over eleven years). With a charcoal black design and red stitching in key areas, along with their Swiss Gear logo littered throughout on various zipper tags, you won’t be left wondering if your laptop bag has a smart design. “The Insight” holds up to a 16” laptop, and comes with added features, such as a tear-resistant shoulder strap—no matter what you put on your shoulders, Swiss Gear will be up to the task. Easy access front zipper pockets make it simple to grab ID tags or small items in a hurry, while the area for your laptop is 100% checkpoint-friendly. Superior design, superb quality, and the age-old name that will never die: Swiss Gear is our editor’s pick. Peak Design Everyday messenger/laptop case combination comes with a stylish trapezoidal design, while offering a bit of color from the usual black-and-white style of most bags. Peak Design brings durability and organization to the table, with a designated compartment for a small tripod, perfect for the amateur photographer or vlogger. Fit up to a 13” laptop in the designated, sturdy laptop case, while utilizing smaller pockets for quick-access items, such as your smartphone or ID for a quick access at the airport. This TSA-approved bag can sit right alongside you for your entire plane trip, giving you the convenience of your packaged items. For the traveler, everyday use, and posh gentleman who wants more out of their laptop bag. 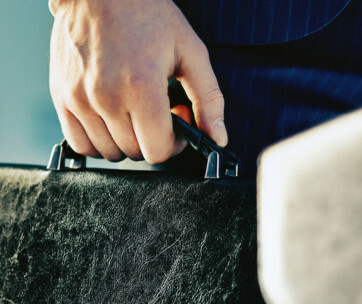 For the minimalist who has a narrow budget, Kroser’s Laptop Bag Briefcase comes to the rescue. At a killer price, this canvas and poly bag is designed to hold up to a 15.6” laptop with dedicated storage, while sporting organizational micro pockets for pens and small items. With their ash grey design and easy carry handle, accessibility and gentlemanly flair collide. Durable hardware ensures optimum safety—your electronics will be cradled and kept free from sticky fingers. Designed with a luggage belt and made extremely lightweight, this versatile laptop case is perfect for the grab-and-go lifestyle. Kroser leaves all the bells and whistles at home, while giving you enough organization and space to glide through your day without being weighed down. Available in four different styles and equipped to handle your 15” laptop (as well as other electronics and small accessories), this excellent laptop bag by our friends at Herschel Supply Co. boasts a unisex design, comes complete with a fully padded shoulder strap for maximum comfort and support. Lightweight in construction and ready to detach for a briefcase appearance, Sanford Messenger Laptop Combo Case leaves nothing to be desired. Straightforward with no frills, this laptop bag’s intelligent design will compliment most any suit, style, and premiere your authority as it hangs from your hand or over your shoulder. Organizational pockets and a dedicated laptop sleeve ensure safety for your electronics and small EDC items, while the hidden exterior access pocket allows you to hide valuables. Here are a couple of gents who know what laptop bags are all about. Crafted of 100% genuine leather with a polyester lining, Jack & Chris Genuine Leather Laptop Bag comes with an anti-filth coating—try as you might, but unless you waterlog this masterpiece, it will remain clean and odor-free. This will fit up to a 15.6” laptop, along with small electronics and a slew of other items. 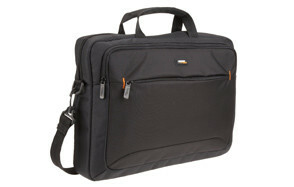 Organizational pockets are littered throughout this excellent laptop bag, giving you optimal storage capabilities. With a comfortable shoulder strap, sturdy handle, and the understanding that you hectic schedule defines your loadout, Jack & Chris have crafted a superb solution to your needs. If you’re anything like the rest of us, you care about maintaining the safety and integrity of your electronics. Whether it’s a tablet, smartphone, or a laptop, you want to be assured that carrying cases and transportation methods are going to be safe so you don’t end up with a pile of broken plastic and motherboard shards. Picking the right laptop bag isn’t just about how it looks or how it feels—it’s about performance. Here’s how to find out if your bag is up to the task, and what to look for during the purchase decision. Many places advertise these three different types of bags. In truth—there’s really no difference. You may find a messenger bag that sports a laptop sleeve or Macbook Case, or a briefcase with “laptop holding capabilities” including a strap. So long as it’s designed to hold and cushion your laptop (among your other electronics and accessories), it’s deemed worthy. We stuck to traditional-style laptop bags here, though some of them rock the same style as a messenger bag or briefcase. Laptop Size Capabilities: If you have a 15” laptop, you’re not going to be able to squeeze it into a 13” compartment. It’s just not a good idea. Take into consideration your current model, how likely you are to get a laptop of the same size in the future, and base your decision off of that. If you’re thinking about getting a bigger screen, get a bigger bag now so you can still use it in 1-2 years when your current laptop burns out. Your laptop bag can last decades with proper care, but that’s all useless if your laptop is too big. Straps, Grasps, & Mobility: Does your strap come with padded comfort technology along the shoulder contact point? Does it detach and turn into a carry-on luggage bag for the flight? Make a shortlist of the most important features for you. If you need to access your laptop on a flight and spend those eight to ten hours catching up on work before an important meeting, you’ll want to have your bag nearby. Organizational Compartments: Your bag isn’t just for your laptop—you’ll be carrying business cards, smaller electronics, wires and more. Having a minimum of three organizational pockets, (though most models come with more), is an essential part of being prepared in every circumstance. Q: Can’t I Use a Backpack as a Laptop Bag? A: Apart from some specific North Face backpacks & travel backpacks that we’ve reviewed, we really don’t recommend using your backpack to transport your laptop. These laptop bags each come with a specific sleeve and overall construction to cradle your electronics properly without risking damage.